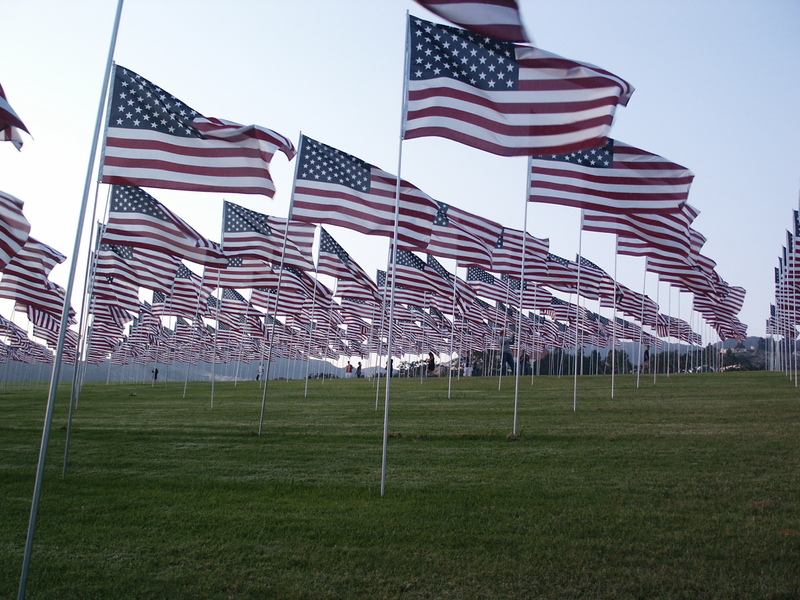 I hope everyone has both a reflective and restful Memorial Day weekend. I will be taking a brief vacation followed by a work conference next week, so the blog itself will be taking a one-week vacation. The posts will return on Monday, June 2. 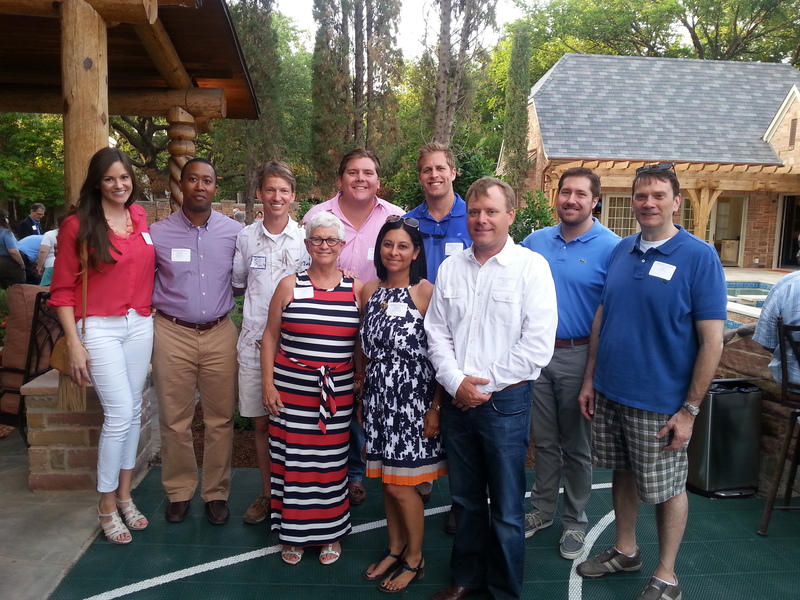 This great picture was taken at an alumni event in Dallas, Texas, last weekend. Pictured above are several law school alums, Pepperdine advancement staff members, Dean Tacha, and even a current law student! 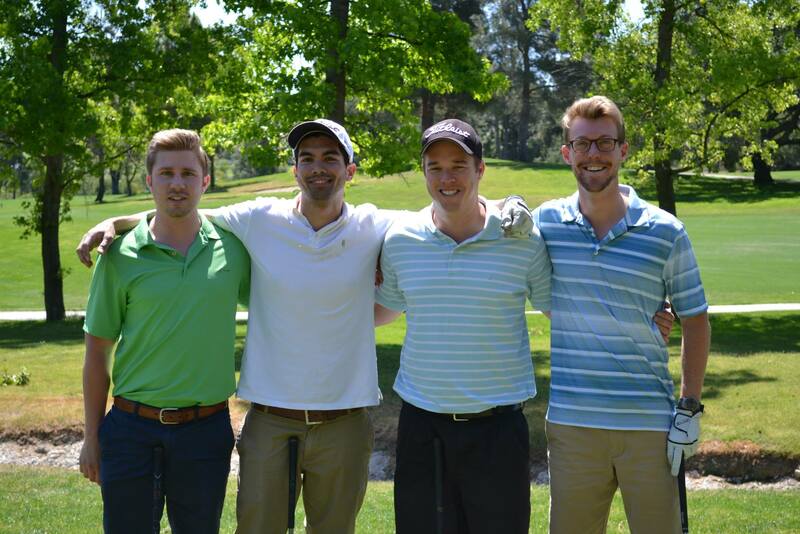 Here are just a few pictures from last week’s alumni golf tournament that raised money for the Global Justice Program. Dean Tacha with some of the winners! Some recently-minted alums from the Class of 2014! 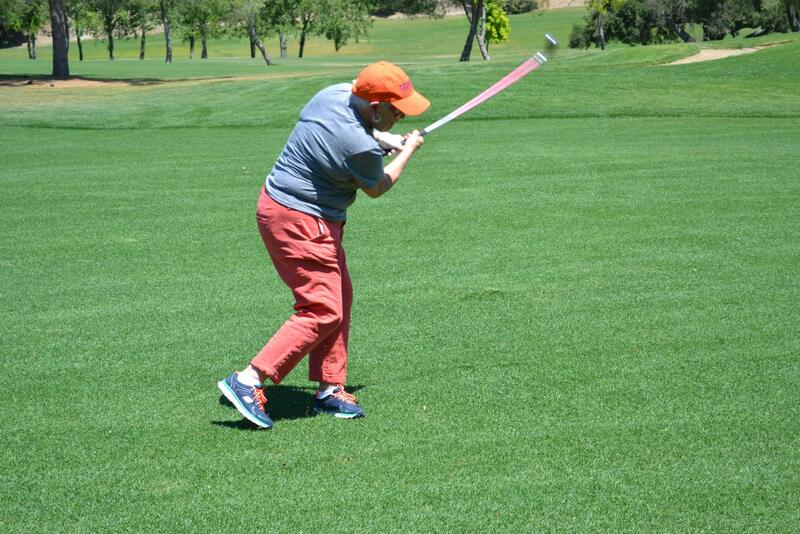 Dean Tacha working on her short game! 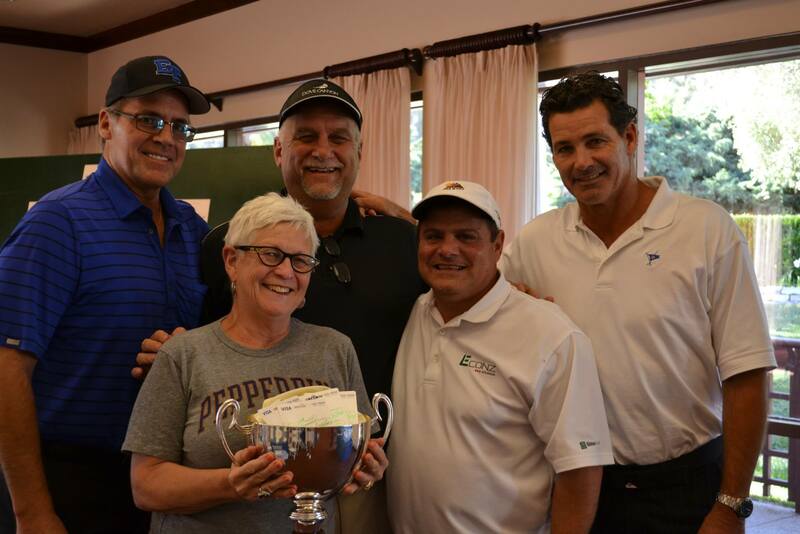 You can read a report on the golf tournament, including a link to more pictures, HERE. This is an excellent number. The overall first-time pass rate in California was 55% (69% for ABA schools). Of our December graduates from the Class of 2014, 11 of 12 passed (91.7%). The other first-time taker came from the Class of 2013. This is a very strong number. The overall repeater pass rate in California was 41% (56% for ABA schools). From the Class of 2013, 20 of 24 passed (83.3%). The other repeaters graduated prior to 2013. In addition, three December graduates sat for bar exams in Illinois, Nevada, and New York. All three were successful. If you recall, our July 2013 pass rate in California was lower than it had been for a few years. However, the numbers are impressive following two administrations. There were 213 members of the Class of 2013, and 6 did not sit for a bar exam. Of the 207 that did, 196 passed a bar (94.7%). To break it down, 140-171 passed California on the first attempt (81.9%), 36-37 passed out of state on the first attempt (97.3%), and 20-24 passed California on the second attempt (83.3%). So although it felt as if 2013 was a bit of a down year, 95% passed a bar exam one year out from graduation—and less than 2% of those who took a bar exam were unsuccessful in both July and February. I love this picture from, and of, John Adams. Due to John’s last name, he was the first graduate to receive his Juris Doctor degree last Friday. However, John was a leader in the Class of 2014 in ways far beyond leading the alphabetical order. 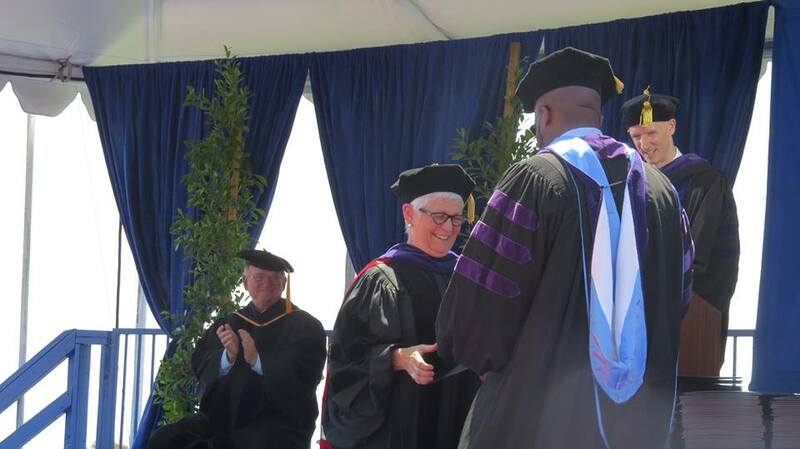 Why I love the picture is that it captures the smiles of Dean Tacha (presenting the diploma), Professor Ogden (who served as Marshal), and myself (who served as Lector). 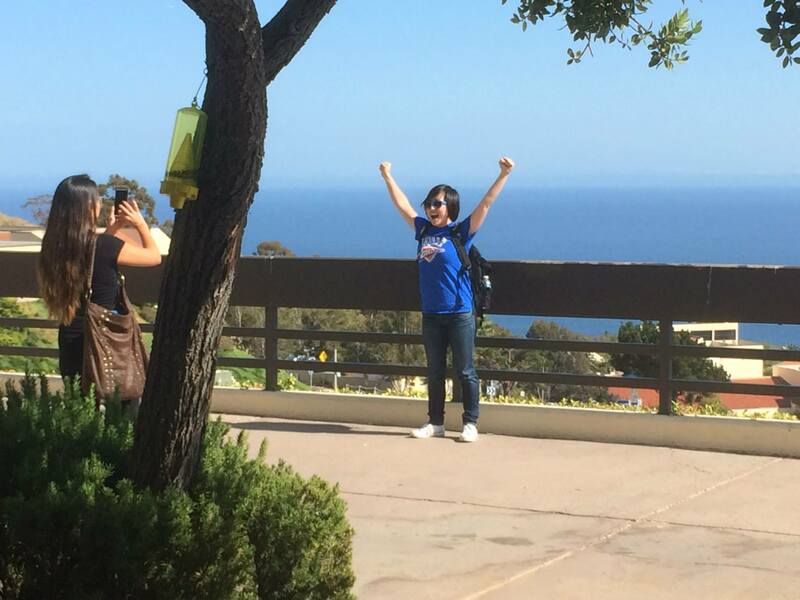 The Pepperdine University School of Law is a top-notch law school, but it is simultaneously a place where the faculty, staff, and administration love students. This picture is definitely worth at least a thousand words. We are so proud of all our new graduates! 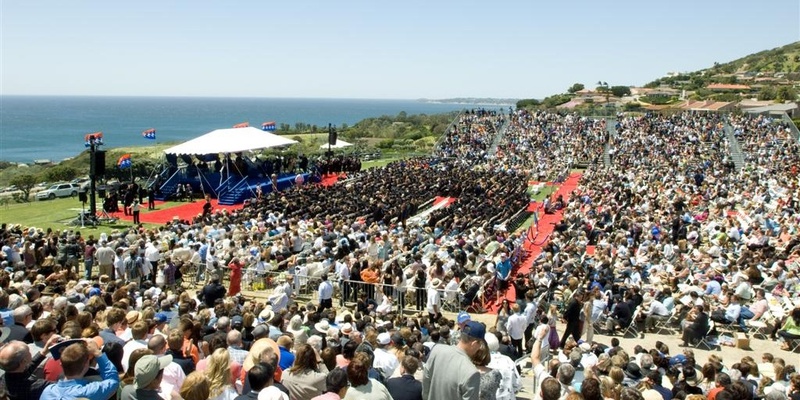 Pepperdine holds its graduation ceremonies outdoors at beautiful Alumni Park overlooking the Pacific Ocean. It is a glorious location. This week, uncharacteristic for Malibu, it also promises to be a hot location!!! Lots of water and sunscreen will be on hand today for the graduation ceremony for the School of Law. But it promises to be a glorious day. Laure Sudreau-Rippe (JD ’97), a philanthropist and an attorney specializing in entertainment, corporation, and business law, will address the graduates as the commencement speaker and announce the new occupant of the Laure Sudreau-Rippe Chair. The Honorable Tani Cantil-Sakauye, Chief Justice of the California Supreme Court, will address the graduates and receive an Honorary Degree. You can read both biographies HERE. I look forward to this event each year. Law school is not for the faint of heart, and it is fitting to celebrate such a magnificent accomplishment with such a beautiful occasion. Today is a special day. At 10am, our graduating class and faculty will join together in the atrium for Graduation Breakfast. This special event is simply a final opportunity for the Class of 2014 and its faculty to share a meal together. At the breakfast, we will hear three special speeches delivered by speakers chosen by the graduating class. The breakfast speeches are generally lighthearted, humorous, and fun for the audience with a little walk down memory lane. This year, the female speaker from the Class of 2014 is Annie Lawson, and the male speaker is John Adams. The faculty speaker chosen by the class is Professor Steve Schultz. 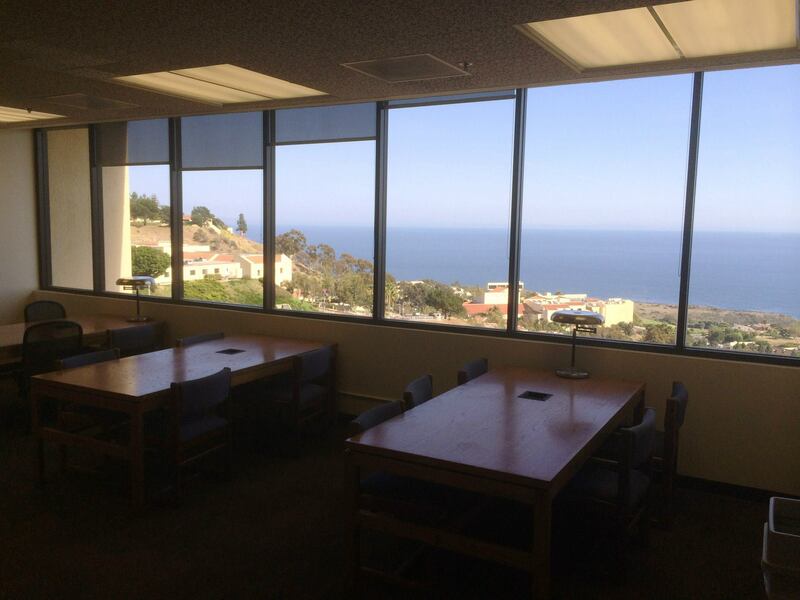 Do you notice what is missing in this picture of the spectacular view from a study area in our Law Library? Students! Tom Inkel, our new Director of Communications, snapped this picture last Friday afternoon after finals ended. It is so strange to experience the shift from the constant study of finals to the deserted Law Library! However, the students did not clear out immediately when finals ended last Friday. 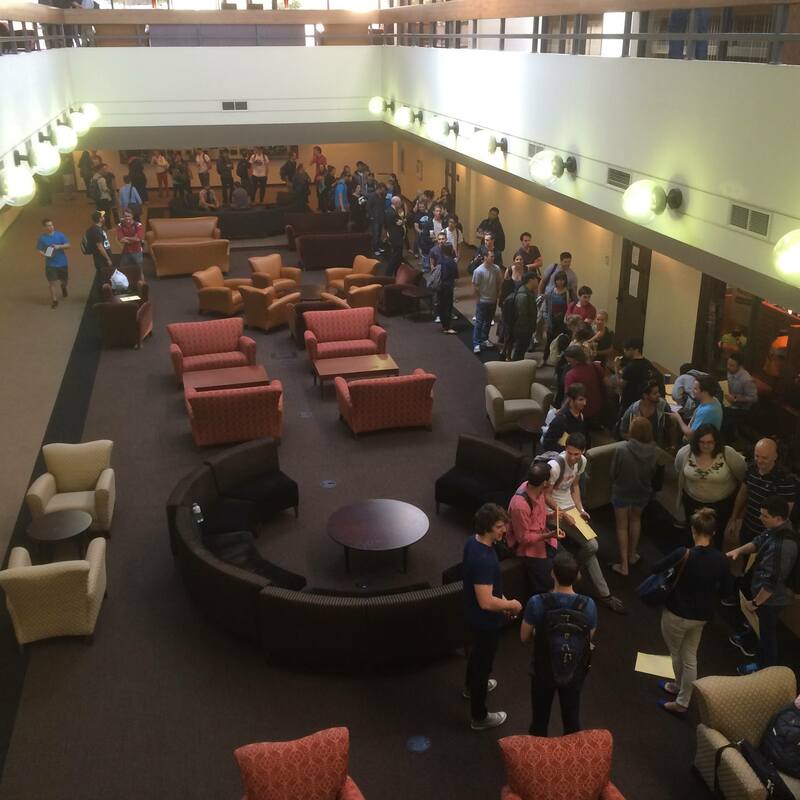 Instead, about 160 of the 200 students stood in a long line (pictured above) to pick up a packet of information for the Journal Write-On Competition. It is a tradition, albeit a somewhat cruel tradition, for the incoming Managing Editor of the Pepperdine Law Review to hand out the packets immediately following the last 1L final of the semester. So, students are rewarded with an opportunity to complete yet another writing assignment in the hopes of being selected as a staff member on one of Pepperdine’s four student-run journals. But even the handing out of the write-on packets cannot damper the excitement of finishing the first year of law school. Pictures and Facebook posts and parties all commemorate a major accomplishment. Our 1Ls are no longer 1Ls — they are “rising 2Ls” and off to gain valuable legal experience over the course of the summer! Professor Maureen Weston teaches Sports Law at the Pepperdine University School of Law, and her expertise has been in demand recently in the wake of the Donald Sterling controversy. You can read her quotes on the controversy in a CBS Local interview. And, you can hear her interview on Voice of America.